The Ayahuasca diet and these dietary guidelines are essential to get the most out of your experience with Mother Ayahuasca. 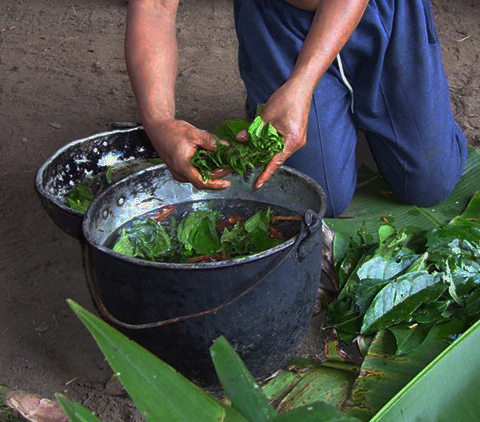 Ayahuasca works with your body in strong biochemical and energetic ways. Everything you put into your body affects how these plants work within you. If you really want the most out of your Ayahuasca experience, then following the Ayahuasca diet below is highly recommended. Everything put in, on, or around your body (especially food) must be considered in terms of how it harmonizes or clashes with these natural plant medicines, and the work they are trying to do inside your body and energy field. In order to maximize your healing and avoid any negative experiences, we follow and recommend a specific diet for our Ayahuasca retreats. Another way to look at it, is that you need to be as clean as possible for the Ayahuasca tea to work inside you to its greatest capacity. By eliminating certain things from your diet, what you’re doing is cleaning your body – physically and energetically – so that the plants can work and heal you to their fullest. These guidelines also apply to the period in your life after your Ayahuasca retreat. From the perspective of this shamanic tradition, each plant represents and holds a different spirit, and in traditional thinking the work with Ayahuasca is not considered finished until many months after the actual ceremonies. If you can not follow the Ayahuasca diet outlined on this page, then it is very likely that our retreats are not for you. However, if you can, then you can prepare yourself for some of the deepest healings, teachings, realizations and transformation that no words can ever fully describe. For more on what you can expect at your retreat, you can learn more here. We will provide all your food during your Ayahuasca retreat, as well as full information for post-retreat care. Your diet will be locally sourced and mainly consist of locally sourced, healthy yet delicious vegetarian food. Before your arrival please consider the following guidelines. These are in place for your ultimate well being so that you can get the most out of your experience with the medicine. The Ayahuasca tea that is served during your ceremony is a very concentrated sacred plant brew, and in order for these plants to work within you to their greatest capacity, it is important that you prepare yourself to receive them. – Avoid all recreational drugs including cannabis and alcohol. IMPORTANT: Please read our Medical Guidelines for information regarding specific supplements and medications. This is especially important for people who are currently taking any type of medication or supplements. It is our policy that all guests must be free of pharmaceutical medications at least 30 days prior to their retreats. Consult with your doctor if you need to stop taking any medication. Note on sexual contact: We recommend that you avoid sexual contact for one week before and one week after the retreat. This can make some people’s jaws drop, we understand! However, there are some very important reasons for this that we would like to discuss. During your retreat with us, the Ayahuasca and Huachuma that you’ll be drinking will be opening you so deeply energetically, so as to really make space for the plants within you to do their work, heal you, and share all of their gifts with you. When you connect with another person in a sexual way, you share very deeply with that person. There is a great deal of energetic “give-and-take”, even between people who have never sat with the medicine before, and who may not be as open as you will be following the ceremonies. The openness that you will experience may cause you to “take on” energies from another person which may not be in line with your own healing and transformation. We don’t believe in rules “just because” – this really is for your own benefit so you can get the most out of your retreat. This will provide you with the space that so many people don’t give to themselves – to dive deep inside, heal, release, cleanse and transform, to find greater depths of peace, joy and presence. If you feel you can adhere to these dietary guidelines, then the magnitude of healing that you can experience is so far beyond words. Healing on every level – mentally, physically, emotionally & spiritually. So if you’re up for it, and you can find the dedication within to remove these things in your life for a short period, to gain gifts that will last a lifetime, then you can learn more about our Ayahuasca retreats, here.